While they are best known for their “songifications” of the latest news stories, The Gregory Brothers also have plenty of other creative aspirations, and the latest piece of content they have hosted on YouTube might be the oddest project they’ve worked on to date. 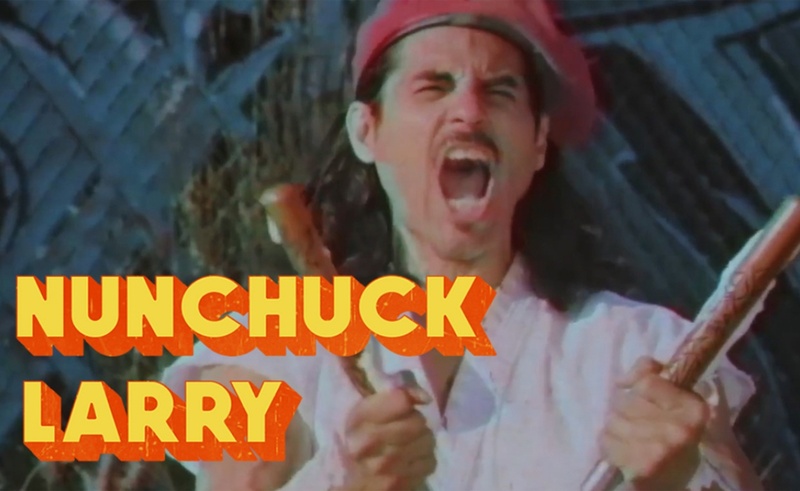 They are the co-executive producers of The Adventures of Nunchuck Larry, a strange homage to kung fu movies of the 70s and 80s that is produced by Portal A and directed by Jacob Motz. In the Nunchuck Larry pilot, which premiered at VidCon and is available on The Gregory Brothers’ secondary channel, we meet the titular martial artist, who is portrayed by Stevin Espinoza. Larry is out to avenge the death of his friend Serge at the hands of an android, and as he embarks on that journey, he runs into several YouTube stars of note. Shameless Maya portrays his love interest, Flula Borg shows up as a guy who plays lawn darts, and the Gregory Brothers themselves appear as a trio of escape artists. Portal A previously teamed up with The Gregory Brothers for Song Voyage, a series that sent the musical quartet across the globe. The studio’s other projects include five iterations of YouTube Rewind, an annual collaboration that looks back at the biggest online video trends of the year.